The Americans with Disabilities Act (ADA) is a federal law with state specific regulations for accommodating people with disabilities. Title III of the Act requires that “no individual may be discriminated against on the basis of disability with regards to the full and equal enjoyment of the goods, services, facilities, or accommodations of any place of public accommodation by any person who owns, leases (or leases to), or operates a place of public accommodation.” Under the Act, all new construction projects must build in compliance with ADA. In addition, existing facilities must remove current barriers, including stairs without ramps or ramps with elevations that are not complaint with ADA regulations. ADA upgrades, such as ADA ramps and wheelchair ramps, allow someone with a physical disability to get to the entrance of a building or access public walkways and sidewalks easily and with as little danger as possible. When putting in concrete ADA upgrades in Marin County, Sonoma County and San Francisco, Van Midde and Son includes features like plastic truncated dome mats. You will usually see these on the lip of sidewalks that lead to the street. These allow people with disabilities to know that they are about to enter a traffic zone like a street or a parking lot. Concrete ADA ramps or wheelchair ramps are necessary for businesses that have stairs to their entrances. If you’re a business owner or the manager of a public building, you may have received a complaint, or worse, a lawsuit, because your building has existing barriers that are not ADA friendly. ADA ramps must be carefully planned out and installed with an 8% grade (or a 1 inch change in elevation per foot). Van Midde and Son Concrete is the ADA upgrade experts for Marin County, Sonoma County and San Francisco. We specialize in bringing businesses and public accommodations in compliance with the ADA. We will remove barriers and replace them with concrete ADA upgrades that look great and l will last for years. Our building ramps are designed by local architects and then installed per their plans. When putting in an ADA ramp or wheelchair ramp for your business, you might be tempted to choose wood over concrete because it’s less expensive. However, concrete ADA ramps will last much longer than wooden ramps – up to 100 years with proper care and maintenance. 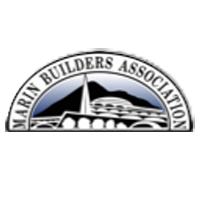 If you’re in need of an ADA upgrade for your building, why not go with a Marin County concrete contractor with 50 years of experience? Located in San Rafael, Van Midde and Son Concrete installs ADA upgrades in Marin County, Sonoma County and throughout the San Francisco Bay Area. Call Van Midde and Son Concrete today at 415-459-2530 or fill out our estimate form here.